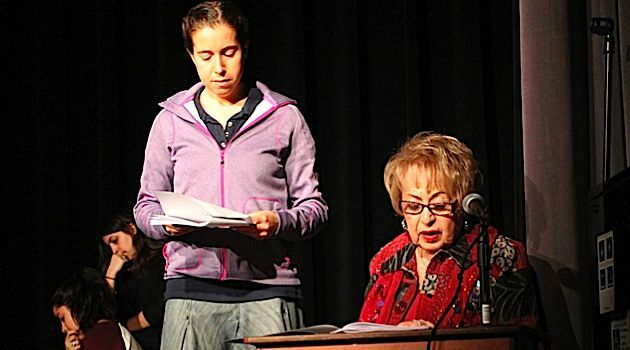 This week’s cool idea is Witness Theater, a unique intergenerational program that brings Holocaust survivors and teenagers together under the guidance of a drama therapist to develop a theatrical presentation of the survivors' Holocaust experiences. Witness Theater is among the New York-area Jewish charities to which the Jewish Communal Fund (JCF) recently awarded a grant. The $100,000 grant will bring this moving and powerful educational experience to the Ramaz School on the Upper East Side of Manhattan, as well as cover the cost of a program director to oversee Witness Theater at a total of four schools. This week’s cool idea is the Intergenerational Pen-Pal Program in Ohio, which fosters friendships between younger and older generations by pairing a class of third graders with attendees at a local senior center. The students from Union Elementary School learned how to write letters and the value of friendships with older adults, while allowing older adults to bond with youth and keep their minds active. In their letters, the third graders asked Fairhaven residents questions and shared the details of their lives: school field trips, visits to relatives, soccer games. Many of the pen-pals developed friendships that outlasted the school year and a few still keep in touch. This week’s cool idea is Manor of the Plains, an adult living facility based in Kansas where residents volunteer to be matched with a student from an immigrant family, and the group meets monthly throughout the school year. Many of the children don’t have the opportunity to see their grandparents frequently, and this program gives them an opportunity to interact with a caring older adult. The resident volunteers also help the children learn more about Midwestern culture as they share how times have changed since they were kids. The year ends with a joint quilting project with the students making quilt squares depicting what they’d like to do when they grow up. This week’s cool ideas are Grand Camps and Grandparents and Grandchildren’s Camp. Both camps engage all ages in amazing outdoor adventures. The Grand Camps is a program of the Haw River State Park in Raleigh, North Carolina. The Grand Camps are for grandparents who would like to come to summer camp with a grandchild or two, or for children who would like to bring their grandparents to camp. Grandchildren's Camp - Great Camp Sagamore. The Summit Environmental Education Staff of Haw River lead participants in many amazing park adventures. Activities are based on weekly themes. Grand Camps kicks off in Week 3 (August 5-7) of the Haw River Park summer program and concludes in Week 4 (August 12-14). In Raquette Lake, New York, the Grandparents' and Grandchildren’s' Camp is a program of Great Camp Sagamore. This authentic 1890s, 27-building National Historic Landmark has, for more than two decades, offered historically-based programs through day visits and multi-day/night residencies. Their Grandparents’ and Grandchildren’s’ Camp sessions in July and August introduce an intergenerational curriculum using outdoor, historical, crafting and musical activities. 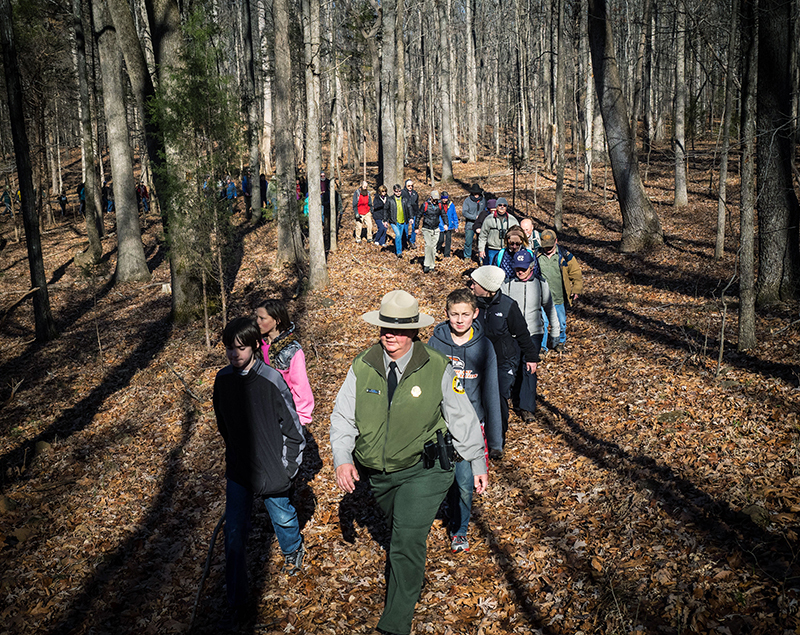 One of the most popular of these programs is “The Illusion of Roughing It,” a basic great camps course that teaches Gilded Age history and uses both Sagamore, the Vanderbilt Great Camp, and neighboring Great Camp Uncas that once belonged to J. P. Morgan. All residential courses include room and board, the daily history tour, time for relaxation and reflection, and the opportunity to experience the same woods and waters that Durant did in 1897. 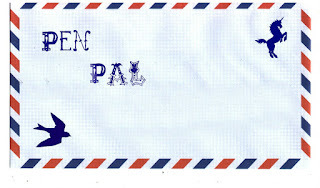 This week’s cool idea is Computer Buddies Program, a pen pal program between youth and older adults in Wisconsin. 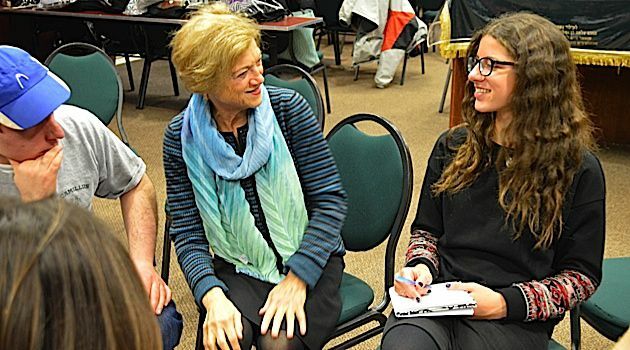 The Retired and Senior Volunteer Program's (RSVP) volunteers in Dane County are matched with a student and correspond in pen pal fashion weekly or biweekly via electronic transmission – blog or e-mail. The program provides the opportunity for students to practice their writing and computer keyboard skills while fostering a positive relationship between the generations.